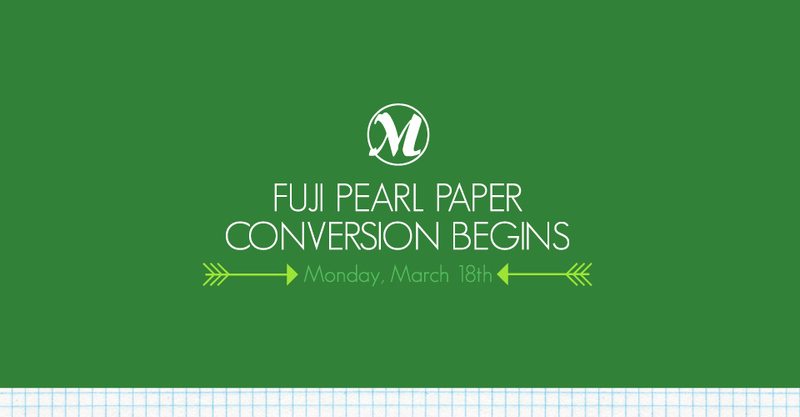 On Monday, March 18th, we will begin a conversion of our Kodak Metallic paper to Fuji’s Pearl paper. With our customers’ and our own high standards in mind, we completed extensive testing over the past several months of Fuji’s paper to ensure its quality and performance. We are pleased with the results and hope you will be too. How will this affect my images? Our production team has worked diligently on this conversion. The good news is that this change will have a minimal effect on your prints. Can I get samples of the new paper? Do I need to make any changes to calibrate my monitor for the new paper? No, the profiles you currently use will work with the new paper. Will the Sports and Events division also convert to Fuji Pearl? Yes, the conversion for our Sports & Events division will also begin on Monday, March 18. If you have any questions regarding this matter, please contact customer service by phone at 1-800-835-0603 or by email at custserv@millerslab.com.